I was standing outside my house the other day and I noticed a bunch of unsightly brick mildew. I wanted to immediately investigate, hoping that is wasn’t an indication of sick building syndrome. Luckily my neighbor lent me his Sun Joe SPX 3000 and it blasted all that unsightly mold far far away. 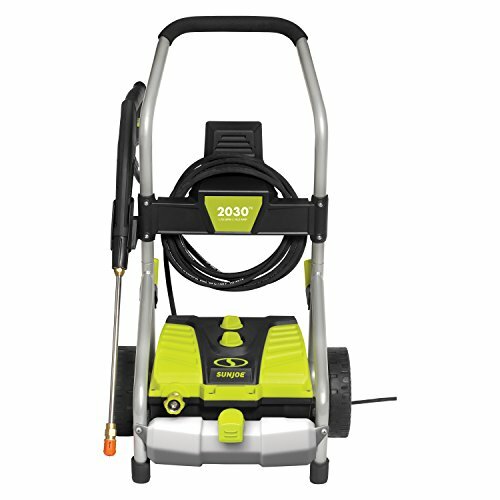 But it made me ask “what is the best pressure washer for a homeowner to buy?” and since I never owned a pressure washer before, I had to do a comparison. In my research, I compared the Sun Joe SPX 3000 vs SPX4000. The best one for a homeowner to buy is the Sun Joe SPX 4000. The SPX 4000 is a good mix of value, durability, and storage- Which is important to a homeowner like me because the machine is infrequently used and must last several years. Now, I think Sun Joe makes some really good machines. However they don’t always use the best parts, and there are some tricks to care for your pressure washer. Since I want to pack in as much useful information in this article, let’s get to it! This is the machine that my neighbor lent me for some mildew killing fun. Setup was really easy and I used some Simple Green in the detergent tank. Since it has dual tanks I also used some Karcher in the other. Both seemed to work great. The machine uses a standard motor that you’ll find on the larger SPX 4000 and the SPX 4001 – the 14.5 amp motor. They claim it will generate up to 2030 PSI but I can’t verify that figure – it did, however, clean my bricks without damage. It was not all sunlight and roses with the SPX 3000 however. I wanted to be a good neighbor and clean up the machine a bit. As I was winding up the cord I broke the connection from the machine to the hose. I discovered it was made of Plastic! Apparently, this is a known issue. I didn’t have the time or the desire to contact Sun Joe, so I upgraded the fitting and the hose. I think it’s a good upgrade and I know my neighbor will be happy. Oh, and when I returned the pressure washer my neighbor asked me if I knew how to unclog a shower drain. I shared this article with him and he was very happy! My biggest complaint with the 3000 model was the construction. I’ll address the proprietary fittings in the Q&A, but let’s just talk about the machine itself. It’s awkward in that the machine fell over twice as I used it. The balance is a bit off and lets face it, I can be pretty clumsy. I didn’t expect the machine to fall over from a simple bump, so I’ll mention it. Now, I thought the machine was good overall, but I wanted something more. Now I bought the SPX 4001 model for my business, and it’s pretty much identical to the SPX4000. You cannot change the pressure on the SPX3000. Yes, you can change the tips for some change in pressure but that is not what I want. I have a wood deck, and 2030 PSI would damage the material. So I would need the SPX 4000 pressure feature to safely clean my deck. All Sun Joe machines use proprietary fittings (read: their way of making you buy their accessories). That bothers me because I want to use better equipment then what Sun Joe offers. Basically, all of their fittings are 15mm M22 size, whereas the industry standard is M22 14mm. So, you spend a few extra bucks and buy this conversion kit. So, if you had to make a choice I would pick the SPX 4000 over the 3000 any day. It costs a few more dollars, but it’s worth it because it gives you a pressure setting and the option to wall mount the unit. I would also get some hearing protection because the machine can be loud if you’re using it for a while. Q: My Sun Joe will not start, what do I do? A: Well, check that it’s not a power issue and your electric is working. One of the most common problems is that the internal gaskets seize up. 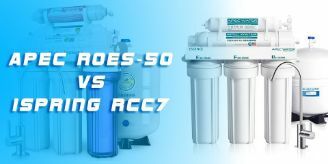 Leftover water can cause issues with the internal pump, so use this a pump protector solution, especially if you’re going to store the unit for several days or weeks. Q: OK, I tried the solution but the machine will still not start. A: If you left the machine outside and you experienced some rain recently, then I bet that there is moisture inside the plug itself. You’ll need a new plug and a screwdriver. You’ll unscrew the old plug (notice if there is water inside) and replace the plug. Always keep your machine indoors! Q: What’s one of the easiest things I can do to extend the life of my machine? A: When you get the machine from the factor you have to assemble it. It’s a great time to put lubricant on all the O rings since they are exposed. You don’t know for how long and at what temperature this machine has been sitting in a warehouse. The O rings could dry out and fail – then you have to disassemble everything- and that’s a pain! The Sun Joe machines are well made for the most part. If your an infrequent user and do not need a commercial grade machine, then I would spend the money to buy the SPX 4000. 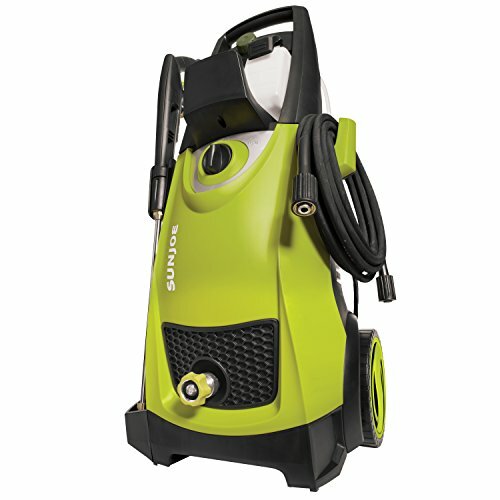 It’s a good overall machine that can handle auto cleaning, cleaning bricks and is safe to use on woodwork. I really like that fact that you can covert the machine for stationary use too, my buddy who has an RV mounted his Sun Joe and can clean his mobile home wherever he goes. Now there are those downsides like changing the fittings, but it’s an easy fix- and let’s face it, no machine is going to be perfect. Lastly, the SPX4000 is better because you don’t have the weight and tipping problems found with the Sun Joe SPX 3000. So, buy the spx4000 with confidence!